These Heaters Are Available In Four Sizes 1" I.D. 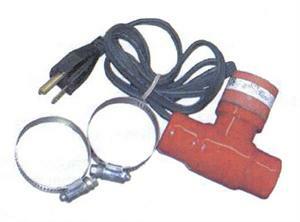 Hose- 400 Watts 1-1/4" I.D. Hose- 600 Watts 1-1/2" I.D. Hose- 600 Watts 1-3/4" I.D. Hose- 600 Watts ALL SIZES ARE THE SAME PRICE All prices subject to change without notice.